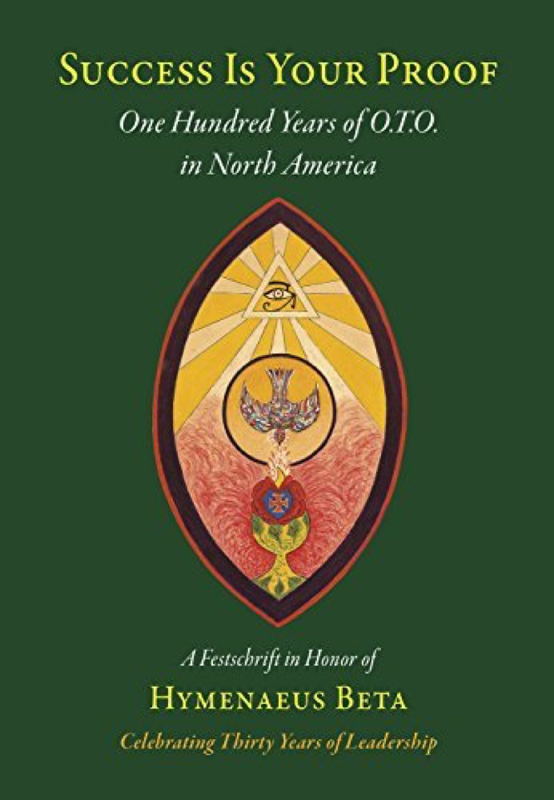 Hermetic Library Fellow T Polyphilus reviews Success Is Your Proof: One Hundred Years of O.T.O. in North America by Richard Kaczynski, & al. Success Is Your Proof is a collection of papers and essays commemorating two different anniversaries in O.T.O. organizing–both the centennial of O.T.O. in North America (dating from the local charter issued for Vancouver, British Columbia) and the thirtieth anniversary of the headship of Hymenaeus Beta. Although the book was grown out of a set of papers first presented at a scholarly conference, not all of the papers are scholarly in their emphasis, and some were not presented at the conference. The first chapter of the book is an encomium for Frater Superior H.B. from Grand Master Shiva X° of Australia, who is very good at this sort of thing. My own contribution is one of a several here that are concerned with a seminal O.T.O. organizer in North America, Charles Stansfeld Jones, a.k.a. Frater Achad. My paper “Bizarre Sons” is one among multiple approaches I have taken to the same research materials from different disciplinary angles, and it does give a full accounting of the relationship between Jones and literary author Malcolm Lowry. I’m happy with how it is presented in the book, but there is one curiosity in the first footnote, where someone claims to be preparing a book by Jones for publication. In the printed footnote, it appears to be me purporting to do this work, but I am not and never made such a claim. The note must have slipped in from correspondence or comments among Success Is Your Proof‘s editors, one of whom was engaged with that project, I surmise. I’m flattered to have my paper appear in the company of other excellent Jones-focused contributions such as the research on the Universal Brotherhood by Frater Taos, Frater Iskander’s “Thinking Backwards,” and Richard Kaczynski’s “Panic in Detroit.” These three were also the editors of the book. Two of the papers in this book are not so much about O.T.O. itself as they are about A∴A∴ and its relationship to the Oriental Templar Order. Of these, the better is the one by AISh MChLMH, which includes a focus on C.S. Jones, and emphasizes the intersection of the two systems in the material of the Major Adept Grade of A∴A∴ and the Sanctuary of the Gnosis of O.T.O. I found the paper by Phanes X° of Italy disappointing. It advanced some misrepresentations with an out-of-context misreading of a statement from “One Star in Sight,” and with a tendentious and necessarily unsupported allusion to language in O.T.O. confidential ceremonies. Although Vere Chappell’s article on the pre-Thelemic A∴A∴ and O.T.O. falls a little outside the supposed scope of the collection, it is still a valuable contribution for its well-documented clarity on an often-overlooked aspect of Crowley’s magical organizing. Likewise, the fascinating research on Leila Waddell by Cynthia Crosse has “America” in the title, but only briefly sojourns in that continent in the course of a more wide-ranging biography. Decisively outside the “North American” scope is Clive Harper’s account of the development of O.T.O. in the UK during the 1980s, but this paper contained many details I was grateful to learn. James Wasserman’s distinctive Thelemic Americanism is exhibited in his paper on “The New Aeon in the New World,” which is more polemic than scholarship. It is good to have it in this book, though, given its relevance to the topic and Wasserman’s own key involvement in the revival of the American O.T.O. Lita-Luise Chappell’s “Historical Overview of the Rites of Eleusis” seems to demonstrate that the majority of the work with these Crowley-authored ceremonies has been done in North America, although I’m sure that wasn’t her primary purpose. While I enjoyed the pictures and the first few pages regarding the origins of Crowley’s plays and their early revivals in the US, much of the remainder is just concatenated data that could have been more simply and easily appreciated in tabular form, so it’s not surprising that she refers to a still-growing spreadsheet where she archives this information. I did see only a glancing mention of what were certainly the most ambitious and sustained presentation of the Rites to date: Scarlet Woman Lodge in Austin produced them as full theatrical pieces for the paying public, in integral month-long seasons featuring all seven rites, every year for seven consecutive years. The book is a materially beautiful production designed by Studio 31, with a frontispiece portrait of Hymenaeus Beta by Australian artist Robert Buratti. None of the pieces in this varied mixture of scholarship, homage, and advocacy is at all boring, and taken together they exhibit important intellectual trends in Thelema today. I certainly recommend it to those interested in the history of O.T.O. and the Thelemic movement. 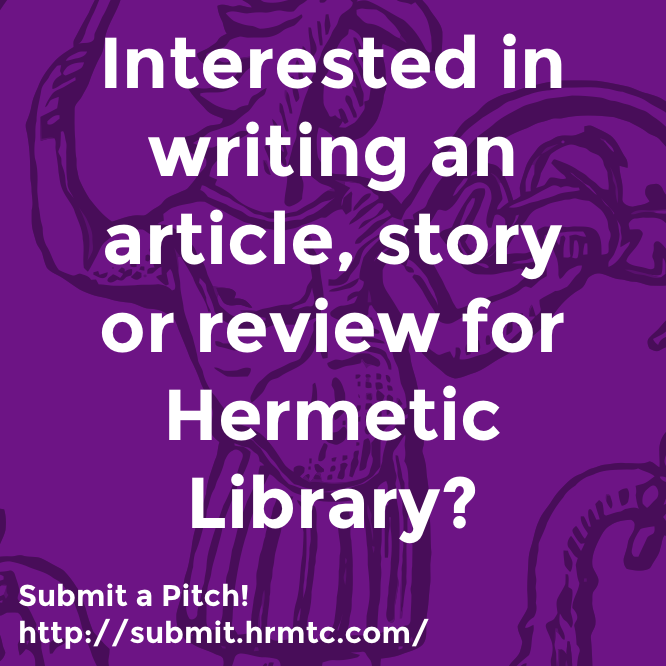 This entry was posted in Hermetic Library Reading Room and tagged book, review, richard kaczynski, T Polyphilus on July 28, 2018 by John Griogair Bell. 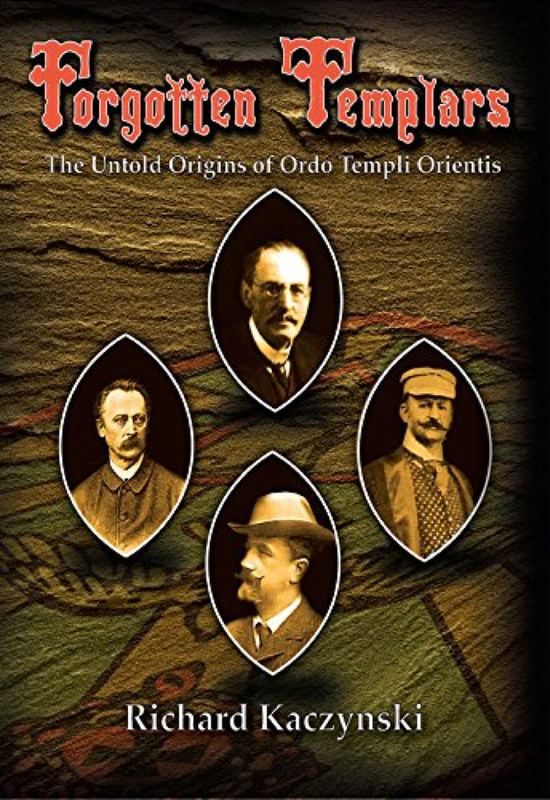 Hermetic Library Fellow T Polyphilus reviews Forgotten Templars: The Untold Origins of Ordo Templi Orientis by Richard Kaczynski. Readers of Richard Kaczynski’s Crowley biography Perdurabo will not be surprised to find that his history of the origins of O.T.O. Forgotten Templars is similarly exhaustive. This volume is not for the casual reader: it is intended for institutional libraries (every O.T.O. lodge should have one!) and discriminating collectors. As a material item, it is an impressive hardbound folio with heavy gloss paper and illustrated throughout with black-and-white photographs and document facsimiles. The start of the book is slow going, with a large section dedicated to the biographical backgrounds of the four principal founders prior to their collaboration. In particular, the two chapters on Henry Klein, the most obscure of the four, are likely to merit skimming for readers who don’t share the author’s special enthusiasm for the history of music publishing and Victorian musical automation. Two appendices even provide a full musical bibliography of Klein’s work as a composer and a publisher. Most readers will doubtless enjoy the details supplied on the three Oriental sages who informed Order founder Carl Kellner’s inquiries: Bheema Sena Pratapa, Soliman ben Aissa, and Agamya Paramahamsa. The last of these was especially outrageous, in no way exaggerated by the unfriendly portrait painted in Crowley’s Equinox (“Half-hours with Famous Mahatmas”). I was surprised and intrigued to discover that the Moroccan Sufi Soliman was supposed to have been a hereditary sheikh of the Aissawa tariqa, the same school of initiation as that professed by Aleister Crowley’s Muslim instructor in Cairo in 1904. Things start to warm up with the next set of chapters, concerned to address the cultural and institutional background to the formation of the Order, with discussions of German Freemasonry, Lebensreform, Theosophy, the Cerneauist Scottish Rite and other freemasonic hautes grades, and the intellectual career of John Yarker. But it’s not until the middle of the book that the account reaches the actual organization of the nascent O.T.O., and it’s only in the final pages that the organization takes on that name. Needless to say, there was a good amount of detail that was new to me in this book. Still, the broad outlines were the ones I had been able to discern through the variety of sources I had already studied on this topic. I was especially grateful for the wealth of detail and analysis regarding the 1906-7 scandals plaguing the rites governed by Theodor Reuss and his associates. I found it strange, though, that while the appendices include the full text of the hostile 1905 article “The Manifesto of the Grand Orient of the Scottish, Memphis and Mizraim Rite” by Robert Fischer, they don’t supply a translation of the brief actual 1903 manifesto by Kellner and Reuss (published in the Oriflamme in 1904) of which the article was a criticism. As the book progresses, it increasingly focuses on the questions that loom largest to students of the topic. Where did the founders of O.T.O. get their “supreme secret”? What was the relationship of O.T.O. to the H.B. of L.? Did the haute grades that Reuss had organized persist in any way outside of O.T.O.? Kaczynski offers a frank discussion regarding the possibilities involved with Crowley’s alleged accidental exposure of the chief O.T.O. secret in The Book of Lies. He does not touch on the peculiar and enigmatic timeline regarding the publication of the book and Reuss’ prior visit to induct Crowley into the O.T.O. Sovereign Sanctuary (see Magick Without Tears, chapter 25). My own longstanding view of this conundrum is that Reuss had access to a pre-publication copy, either directly from Crowley as an “application for the X°” or though Yarker’s agency. The study concludes with Crowley’s reform of the O.T.O. rite in Mysteria Mystica Maxima, preserving its integrity and concentrating its effects, while distancing it from its Masonic origins. This entry was posted in Hermetic Library Reading Room and tagged book, review, richard kaczynski, T Polyphilus on May 26, 2018 by John Griogair Bell. Hermetic Library fellow Colin Campbell reviews Forgotten Templars: The Untold Origins of Ordo Templi Orientis by Richard Kaczynski. Every so often, I am reminded what a crap writer and researcher I am. Those times often, and justifiably, coincide with Richard Kaczynski publishing something. Did he really have to put out a second edition of Perdurabo just to rub it in, though? 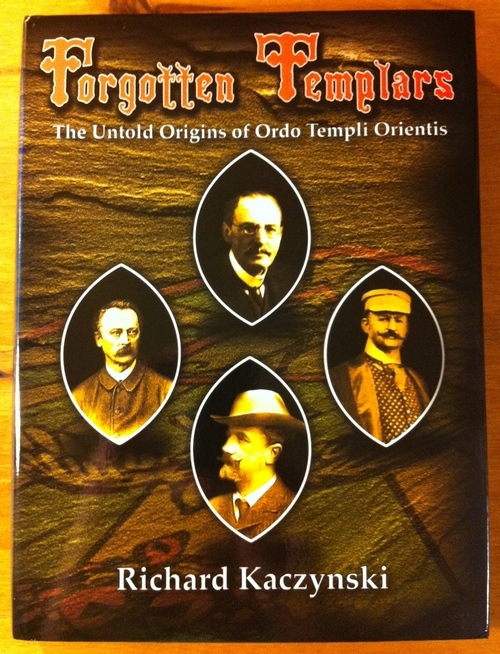 Just released is a new title, Forgotten Templars: The Untold Origins of Ordo Templi Orientis. For the most part, people equate O.T.O. with the most famous of its members, and second Grand Master, Aleister Crowley, but beyond that knowledge of the founders drops off precipitously. In fact, Crowley was not even a founding member, though it is argued that he really did “get the ball – pun intended – rolling” as it were. Those more familiar with the history might be able to come up with Theodore Reuss, but fewer still would be capable of listing out names like Klein, Hartmann, Kellner, or Krumm-Heller. Like Perdurabo, this book has a lot of information, is meticulously researched, and contains a great number of pictures from both modern day and the relevant time period to help set the visual setting for the underlying events. As the book began as a research project on Henry Klein, it begins with this man’s own journey through his life in the music business and eventually into esoteric Masonry in the heyday of rite-swapping that invariably connects with the likes of John Yarker (given no short mention in the book). Reuss, Hartmann, and Kellner are subsequently covered in greater detail than I have seen elsewhere at any time, and I found it especially helpful to have the additional context of their personal lives apart from their strictly Masonic work. From the detail of the individual personages comes an exceptional exposition of the nascent origins of OTO and its basis in the various extant (worked or otherwise) rites circulating at the time. This, for me, was the most fascinating part, as you can see the groundwork laid toward the gradual development and emergence of OTO pre-Crowley, whereas most literature has focused on post-Crowley. In fact, only in the final chapter is Crowley’s association and subsequent contributions (not inconsiderable, given that he re-wrote the initiation rituals) covered: and they are that much better for having the detailed background leading up to his involvement. 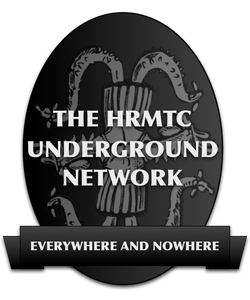 This entry was posted in Hermetic Library Reading Room and tagged books, Colin Campbell, reviews, richard kaczynski on February 26, 2017 by John Griogair Bell. Unheard-of Curiosities: An Exhibition of Rare Books on the Occult and Esoteric Sciences is an exhibition at Alexander Library, Rutgers University, through July 3rd, 2014 and may be of interest, especially as it includes two of Hermetic Library figure J F C Fuller‘s paintings. 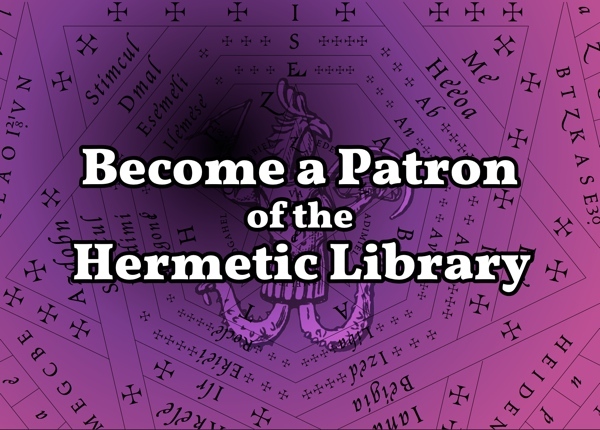 “The Rutgers University Libraries invite members of the Rutgers community and the general public to view “Unheard-of Curiosities”: An Exhibition of Rare Books on the Occult and Esoteric Sciences, the new exhibition in Alexander Library. The exhibition will showcase rare books from Special Collections and University Archives that illuminate the enduring popular interest in a diverse constellation of “occult” topics from the sixteenth century to the present day. Apparently there was also a colloquium, on Jun 23rd, on “The Soldier and the Seer: J.F.C. Fuller, Aleister Crowley, and the British Occult Revival” with Henrik Bogdan, Christian Guidice, Gordan Djurdjevic, Richard Kaczynski and Robert Stein; and that probably would have been of great interest, as it relates to both J F C Fuller and Hermetic Library figure Aleister Crowley and their interrelationship, if I’d been able to post about it before it was too late to attend. Richard Kaczynski will be presenting “Two Agnostics: Victor Neuburg and J. F. C. Fuller, B.C. (Before Crowley), During, and After”, a talk about his research around three Hermetic Library figures: Aleister Crowley, Victor Benjamin Neuburg and John Frederick Charles Fuller, at Atlantis Bookshop in London, on May 19th, 2014 starting at 7pm, £10, and they have requested that you RSVP to book a place. 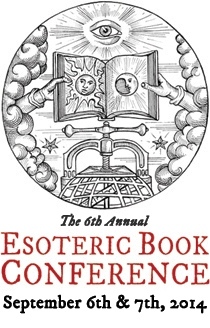 The lineup of artists, entertainment and presentations for Esoteric Book Conference 2014, to be held on Sept 6th & 7th in Seattle, has been announced, and you may want to check those out, including Richard Kaczynski’s presentation “Breaking down the Temple Door: Aleister Crowley’s Reinvention of Ceremonial Magick through the Rites of Eleusis”. 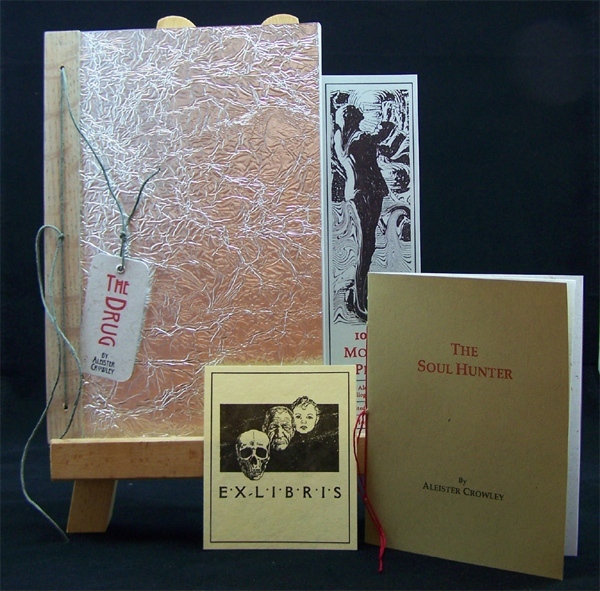 The Drug by Aleister Crowley is the fifth new edition from 100th Monkey Press, available in a hand-bound limited edition. ‘The Drug’ was originally published in Great Britain in the January 1909 issue of The Idler, an illustrated monthly magazine that printed various light pieces and sensational fiction. This work is one of Aleister Crowley’s earliest published short stories and highlights his power as an author of fiction as well as poetry. It has been said that this short story is one of the first, if not the first fictionalized account of ingesting a hallucinogenic substance. Crowley certainly experimented with a wide variety of mind-altering substances throughout his life, and it is not too far-fetched to consider the possibility that this story may be based, at least in part, on personal experience. ‘The Drug’ may be based on Crowley’s experiences with Anhalonium Lewinii, a now obsolete name for Lophophora Williamsii, commonly known as the peyote cactus. The active constituent of peyote is mescaline, a well-known alkaloid that can produce hallucinogenic effects when ingested. According to Perdurabo, Dr. Richard Kaczynski’s excellent biography on Crowley, the Abbey of Thelema’s copy of Diary of a Drug Fiend contains a marginal note by Crowley stating that he had conducted numerous experiments on people with Anhalonium Lewinii in 1910 and afterwards. These experiments may have formed the basis for Liber CMXXXIV, The Cactus, described as ‘An elaborate study of the psychological effects produced by Anhalonium Lewinii (Mescal Buttons), compiled from the actual records of some hundreds of experiments.’ Unfortunately The Cactus was never published and is now considered lost to history. 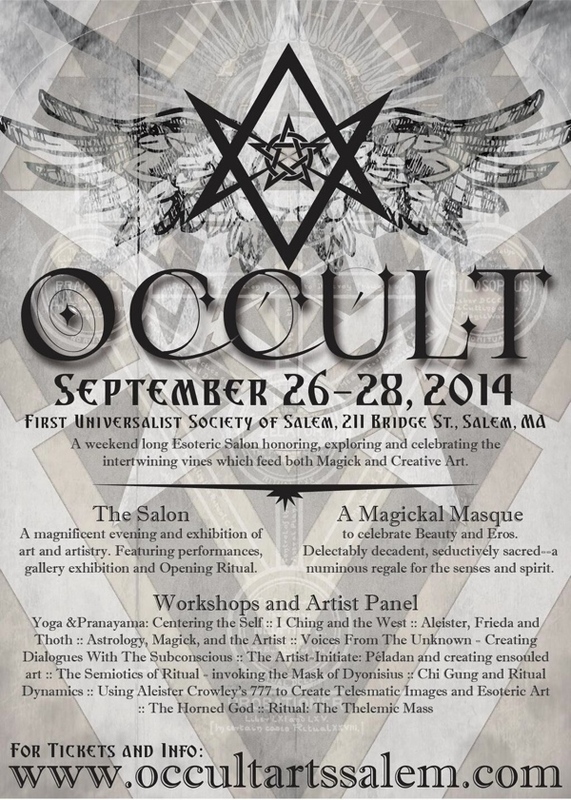 · Joscelyn Godwin, Esotericism in a Murky Mirror: Strange Practices in Central New York. 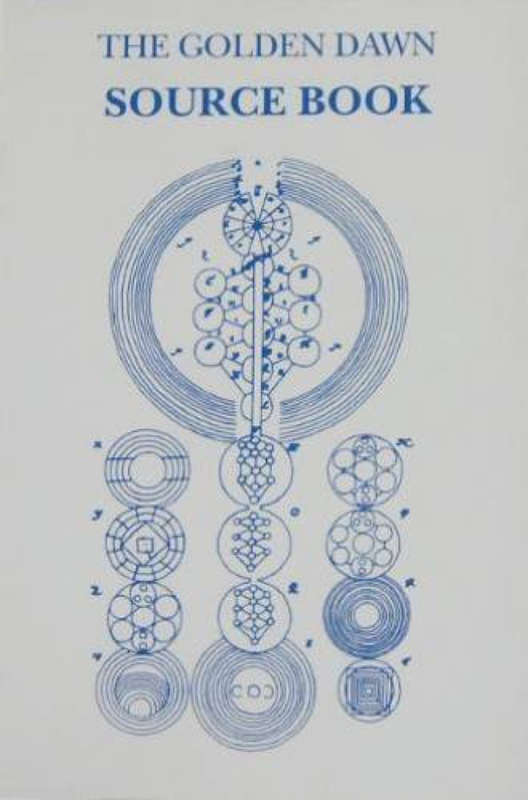 · Gordan Djurdjevic, “In Poison there is Physic”: On Poisons and Cures in Some Strands of Esoteric Theory and Practice.